Great News! The NCHSAA is now a part of the NFHS Network! What does this mean for you the fan? Where does the content on the NFHS Network come from? My school doesn’t have a School Broadcast Program or participate in the Network, what can I do? What events will the NFHS Network cover in North Carolina? It means that for the cost of a subscription, you can have access straight to your computer, phone, tablet or Apple TV for thousands of high school games across the country, including the State Championships in North Carolina! Subscription rates range from $9.95 for a recurring monthly subscription to $24.95 for a two-month, non-recurring subscription which have been made available during the busy playoff seasons throughout the year. Subscriptions are for live events. 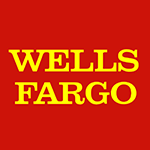 All on-demand events are available for free to anyone with a registered username and password 72 hours after the event is complete. Any event broadcast on the Network is archived for access at any time and postseason events are available for purchase of a DVD copy. Great question! The much of the content is produced at the local high school level by students through a broadcasting class or club. For state championships, the NFHS Network and PlayOn! Sports will send in crews to cover selected events with a higher level of production capability. 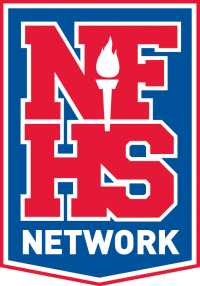 Schools involved in the NFHS Network through the School Broadcast Program are able to purchase annual subscriptions at a wholesale price to sell to their booster clubs and fans as a fundraiser. The Network has a great page on the website for schools to learn about starting a School Broadcast Program. You can find the link here. The platform allows both live streaming and on-demand viewing of a participating school’s broadcast events. Schools can produce anything they like on the Network! Many not only include athletic events, but graduations, band and cheer events as well as other school events. Ask your school to look at the educational, community and financial benefits of getting involved in the NFHS Network as a School Broadcast Program. We are in the process of putting together the NFHS Network coverage schedule for State Championship coverage together, and it will be posted leading up to championship events on the NCHSAA website as well as at NFHSNetwork.com.